Two Birds Killed with a Stone… or something like that. The morning went very smooth yesterday: the kids were ready and on time, drove them to school then headed to work. The commute is not bad since I refuse to take the freeway it’s more of a pleasant ride to work. The occasional stop signs, traffic lights with the beautiful trees along the streets. It takes me approximately 20 minutes to get to work from my daughter’s school although I enjoy the ride so much that it feels more like 10 minutes or less. I always drink a cup of coffee after getting up, the smell of it just energizes me. Before heading out, a second cup is brewing for me to take during my ride to work. Unfortunately, this morning I decided to skip the coffee but would have some tea as soon as arriving to work. Tea is one of the items always found on my personal kitchen cabinet in the office – always. Nonetheless, as soon as a foot was stepped inside of the office… chaos begins. Phones are ringing non-stop. Two people outside the door ready to “take care of business”. Our front counter has blinds (to maintain privacy while closed). Today, they were stuck, therefore we had to use a rubber band to hold them open. One guy went home; sick. A couple of hours passed as the foot traffic along with phone calls went back-to-back. A need for coffee kicked in. Immediately; grabbed my phone, opened the Starbucks app and made a mobile order for a Grande Caramel Macchiato. The nearest store is three minutes away; driving distance. It takes me under 10 minutes to get to and back. While entering the store, there were at least 6 people in line. My coffee was not ready. I decided to stroll the bookstore while my drink became available. The Starbucks is conveniently located next door to Barnes and Noble. I love both of these stores! I quickly glanced at some puzzles, calendars, organizers and some cook books. My eyes focused on a particular one. I had to have it! Cook Instant! A book of recipes for my electric pressure cooker! I love using mine but only have a few recipes which came with the pot. Immediately grabbed the book, headed to the cashier, paid the went to grab my much-needed espresso. Once back at work, I then realized… It took me exactly 15 minutes from the time I left to me walking inside the office. That was awesome! On one hand my coffee, while on the other, a new recipe book. I couldn’t have planned this, its pure luck! Maybe I’m being a bit sarcastic but it definitely gave me a happy, positive, much-needed “push” to help me through my rest of the day. I could hardly wait to get home to tell the husband and kids what an awesome find this was. Hopefully, one of them will enjoy it as much as it gave me happiness. On another note. Definitely, will keep you posted on how some of the dishes turn out. This week I was asked if I could share some of my couponing tips, ideas and organization. I was delighted, felt very lucky to have had such request. Of course, when I started I dove right in: no help, no assistance. This enabled ME to figure out a way to make this work. Basically, what I am saying is “Trial and Error” – still trying and still making errors. That’s the best way I can describe this coupon ride. Nonetheless, I have been editing yet evolving my coupon strategy and use. Therefore, I started creating a simple step-by-step reference guide which helps and aids me in figuring out an easier way to stay organized. Today, I would like to share that with you all. 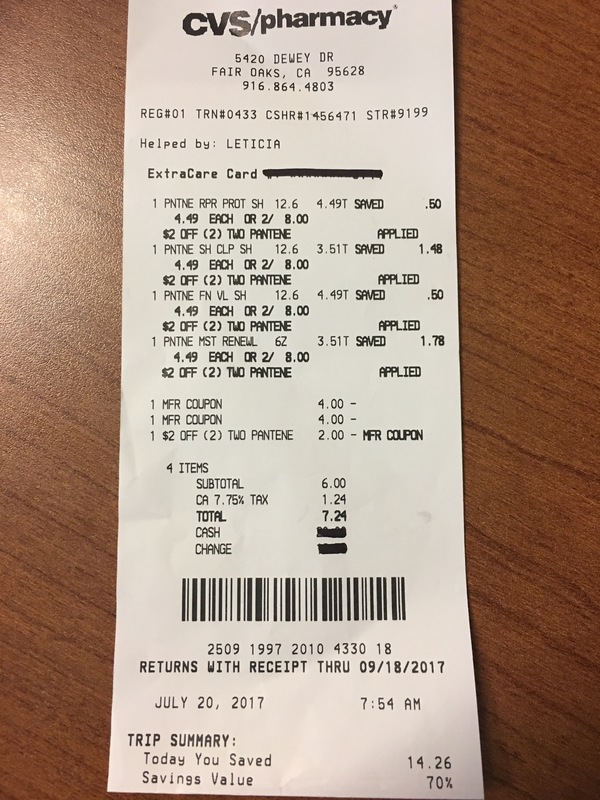 Plenti (Rite Aid), Extrabucks (CVS) and Balance Rewards (Walgreens). This is just a quick guide and in no way is intended for you to change the way you shop or organize your coupons. As I mention, trial and error played a big part in creating this list and I frequently add a bit more as new ideas or materials make my process easier. It all depends on the amount of time you dedicate it as well as your organization skills desired. Everyone has a different way of organizing and if a different way works better for you, stick with it! If you haven’t tried SavingStar yet, think about giving it a try. This is my 3rd favorite rebate app. It’s a nice way to earn a bit of extra money while shopping on certain items. SavingStar is a rebate app similar to Ibotta and Checkout51 but… with fewer rebates. Rebates are released once in a while with some lasting a month or more. The average of rebates range between 70-80 at a time with very limited produce items. Rebates range in categories such as; medicine, health, personal care, pantry, snacks, etc. SavingStar has several stores for you to redeem your rebates on, such as: Target, Lowe’s, Wal-Mart, Costco, Albertson’s, Winco etc. The app is super easy to use; although some dislike the “unlocking” of your rebates before you shop! 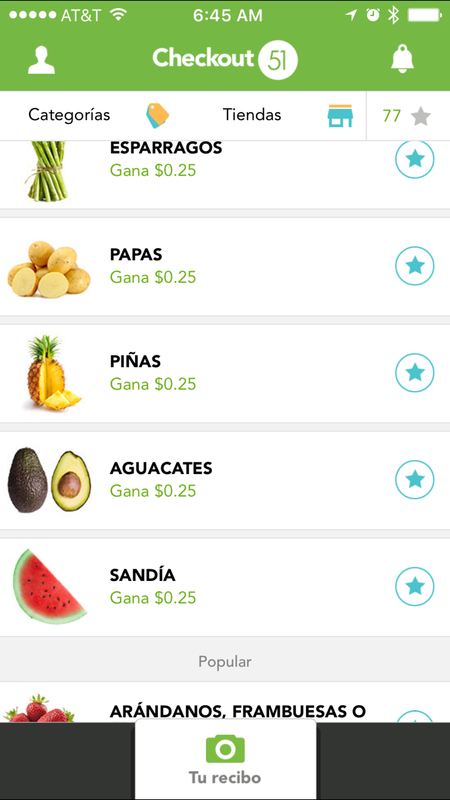 This app is similar to Ibotta’s where the rebates are mostly redeemable at specific stores unlike Checkout 51. Weekly, you will be given a rebate to earn $0.25 on fruit or veggies (but you must redeem a limit of two rebates within a month). Add your loyalty card or number. After checkout – your rebates will automatically be verified so you don’t have to load your receipts. I currently have CVS and Rite Aid. This app has some high rebates often, such as; $5.00 on Xyzal, $0.75 on a box of Puffs and $1.00 on two boxes of cereal. An integrated scanner where you can check an item to see if it qualifies for a rebate – before you purchase it. This app has a lot of medicine and vitamins rebates “All the Time”. As stated above, some rebates are substantial. As you “Activate” an offer, you will be able to access this trough their integrated Shopping List. It’s condensed which makes it easier to see your items. Earn 1% cash back on every purchase you make on Conagra Brands, Bush’s products and Coca-Cola – It’s not much but it adds up! As long as you submit your receipt the last day an item expires, you will receive your rebate (as long as the item matches). You can cash out once you reach $5.00. This is awesome since other apps minimum requirement is $20.00. Cashing out is easy with options like; Paypal, Bank Account Deposit, Gift Cards (Starbucks, Itunes and AMC) and my favorite – Upromise accounts! Some rebates are for purchasing a certain amount to receive a rebate – either by purchasing one item or many to meet that threshold. Sort your activated offer list by: Recommended, Newest, Expiring Soon or Alphabetical Order. This feature rocks! I would not refer this rebate app without using it myself and licking it. So…My two cents on SavingStar: Get some cash on those needed vitamins! ***This rebate app recommends not using coupons with these rebates as they are intended to be used as a manufacture coupon. Hi all. Well… I went ahead and made a quick shopping trip to CVS this morning before getting to work. I did not need to make the trip but since there is a CVS on my way to work… decided why not? 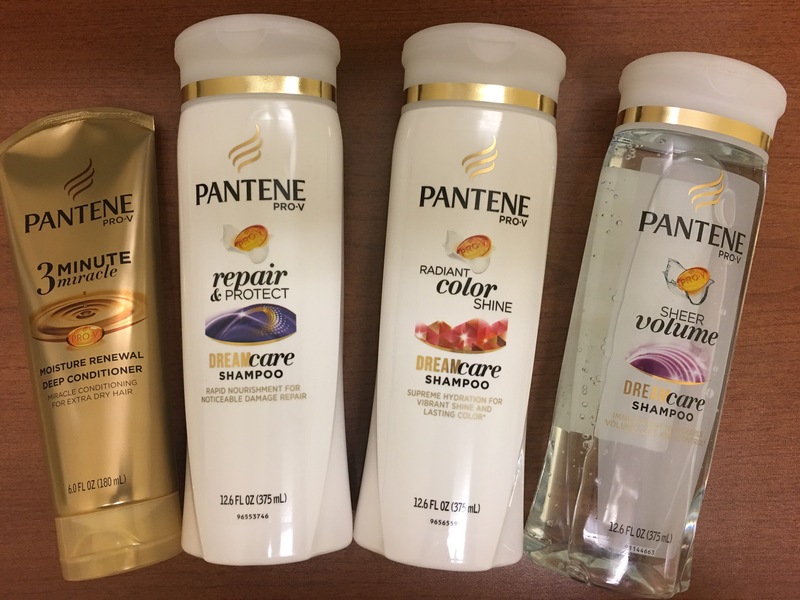 Currently, CVS has select Pantene hair products on sale… Yes, always shampoo! You just can’t get away from these can you? The sale is buy 2 for $8.00 on certaon products. Checkout51 just released their new rebates today, which includes Pantene products too. I seldom buy shampoo, but I’m still a BIG sucker who gives IN to “great deals” (insert rolling of the eyes here). So, pairing this sale, with some coupons plus the rebates – made it a good deal. It would be super if I actually needed the shampoo but you know, potato-potato. With coupons in hand; walked into the store, grabbed my four Pantene products then headed to the register. This brings my total before coupons to $16.00. After applying two Manufacturers coupons each valued at $4.00 off two Pantene products (Red Plum 7/16/17) and applying a CVS instant coupon for $2.00 off two Pantene products. My total out-of-pocket came to $6.00 (tax excluded), savings of 70%! You see my point… good and bad. More importantly; was this a necessary purchase for me? No, of course not. Realistically, I could see this trip as a waste of time and money; that is where I need to balance myself: to determine reasonably why this purchase would actually matter and more so if it’s worthwhile. ***These Pantene rebates are on Checkout 51 starting today but require scanning on a couple of them. CVS will exhaust their promotion Saturday, so there is still time if you are running low on shampoo. If you haven’t tried ibotta, give it a try. This is my favorite rebate app! It’s a great way to earn some extra money while shopping on your grocery items. Ibotta is a rebate app similar to Checkout51 but… better. Ibotta continuously releases rebates often and some last a month or more. They have “hundreds” of available rebates – HUNDREDS! Their store options are incredible – ranging from grocery stores, pharmacy’s, bars and app rebates like Apple or Best Buy. They just released a new update and it is pretty cool. Rebates range in categories such as; baby, drinks, medicine, health, personal care, home, meat, pantry, snacks and pet food. You will also find vegan or vegetarian items which is pretty awesome. Alcohol, mixers and wine are also part of their rebates – I love this! The app is easy to use; although some say it gets a little overwhelming since you have to unlock your rebates to a specific store before you shop! Ibotta’s rebates are mostly redeemable at specific stores unlike Checkout 51. Usually you will be given a rebate for you to earn $0.25 on fruit or veggies and once in a while $0.25 for submitting Any Receipt! I LOVE THIS APP! Seriously, ibotta has so… many… rebates it’s no wonder they are the #1 rebate app. Submit a rebate even after you used a coupon (some might have exceptions). They have integrated a scanner within the app, this makes it easier to scan an item, see if there is a rebate for it – before you purchase it. You can add your loyalty card or number to ibotta, after checkout – your rebates will “automatically be verified” so you don’t have to load your receipts – I currently have this with Rite Aid and Raley’s. Ibotta offers several bonuses like; redeem 8 rebates and $10.00 to earn a bonus of $1.00. The more you redeem items the more bonuses you will receive. Earn between 3-5% cash back by shopping at several online stores through ibotta such as Amazon, Uber, Hotels.com, Itunes, Banana Republic, Best Buy, etc. Earn cash at some restaurants like Buffalo Wild Wings. The selection in Beer, Wine, Spirits and flavored alcohol is very impressive; many options, brands and flavors to choose from. Checking out is a breeze. Choose between cash deposited to your Paypal or venmo or choose gift cards to Itunes, Target, Starbucks, Best Buy, Amazon, etc. instead of cash. *$20.00 minimum pay out. At least for me… I can aim to get more bonuses with the help of my friends. I would not refer this rebate app without using it myself and loving it. 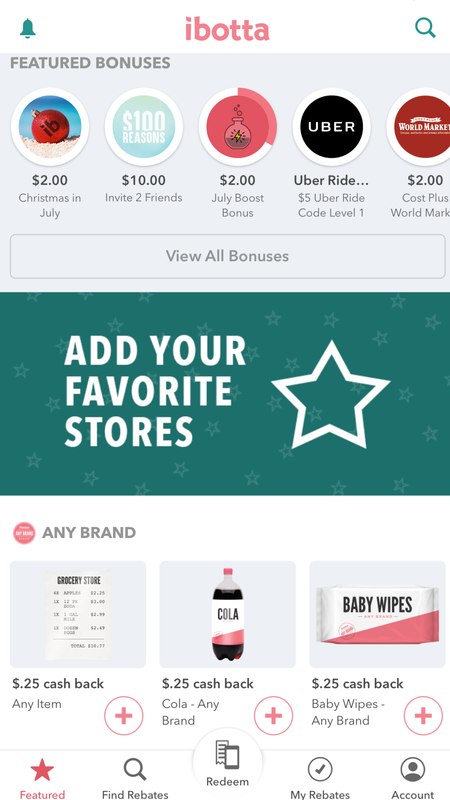 So…My two cents on ibotta: It rocks to get paid to shop! ***Notes: Currently and for a limited time when you refer 3 friends you get $30.00! We had a very productive day yesterday. The kids did not have any games or practice this week so we were able to sleep in; boy was it nice. Generally, even during the weekends, we are up early. With both of our kids playing sports, our weekends become very busy at times. Lucky for us, today we had the opportunity to just chill… and work in the garden. I love gardening, my kids and husband enjoy it as well. My husband played Wiffle Ball with the kids while I focused on pruning along with staking our continuing growing plants. The garden is looking amazing; very healthy including free of pests (except for the cats). Our tomato plants are still blooming as well as our zucchini, cucumber and bell peppers. 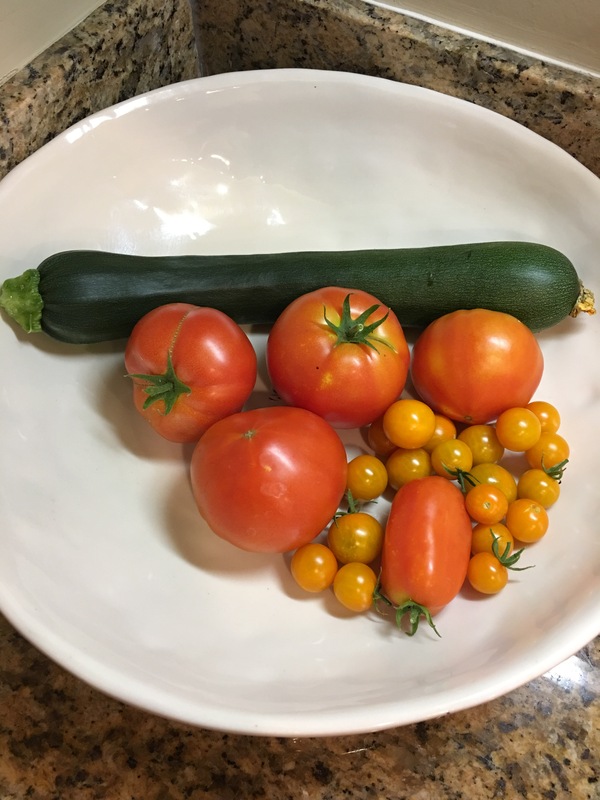 We were able to harvest a few vegetables such as; beef steak tomatoes, golden cherry tomatoes, roma tomatoes, two zucchini, a bowl full of red potatoes, two strawberries along with about a pound of cucumbers. 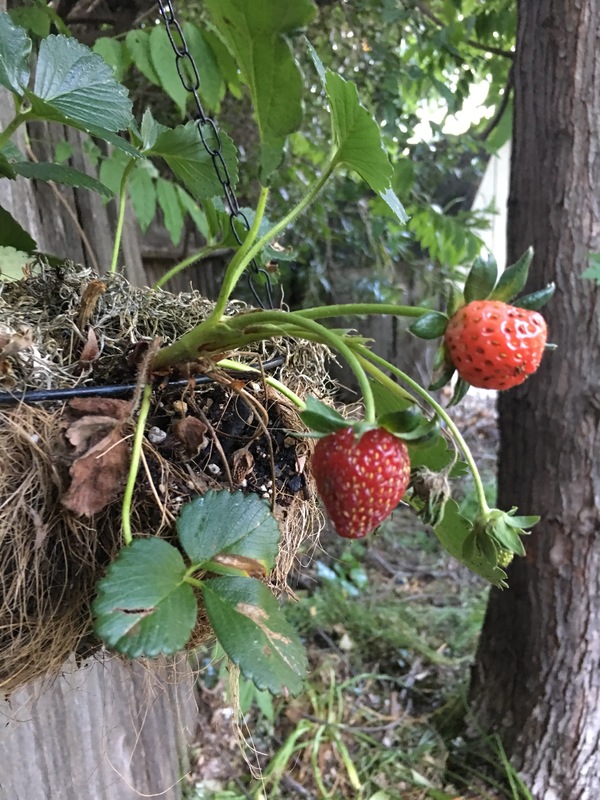 The kids said our strawberries were very sweet and juicy, maybe next time we will have more than two to try them – maybe. I enjoy seeing them savor what our earth, hard work and dedication produce. Is such a simple task that rewards us in so many ways such as; appreciation, caring, effort etc. 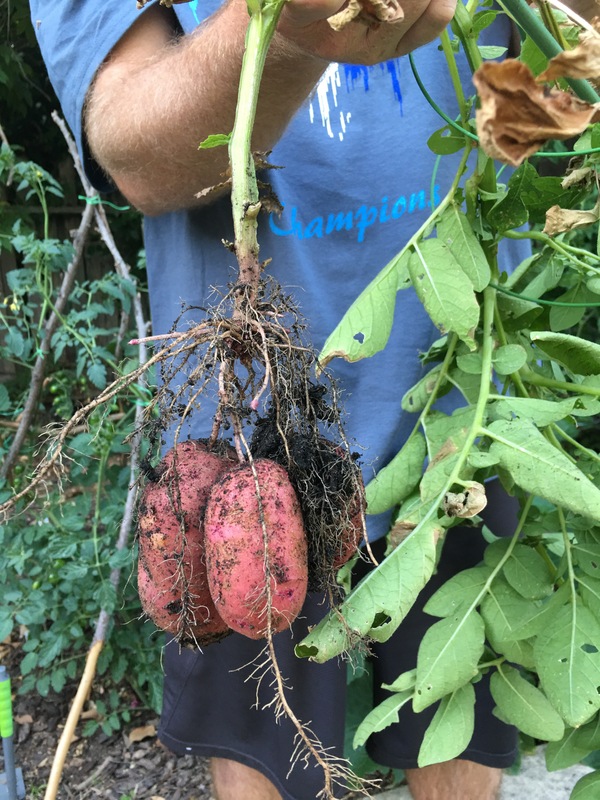 We were fortunate to harvest potatoes since four of our six plants did not make it earlier in the season. Therefore, we will be making an outstanding home-grown potato salad with a bit of fresh dill plus a touch of rosemary. Mike planted some pumpkin seeds, we are not sure if it’s too late in the season or not – we will find out later. He also added more support to our gigantic beef steak tomato plant that seem to keep wanting to show off by reaching more than 6 feet in height, he uses a stool for tying the plant to a tree branch. He wants to see how tall it actually grows to, we have never had a tomato plant this big – we are in love with it! After carefully cleaning all of our cucumbers, they were ready to be canned. The canning process is a simple one since we are making refrigerator pickles; they usually only store for about four months. My mother taught me how to can some fruits and veggies in the past, so I feel pretty comfortable with the whole process. 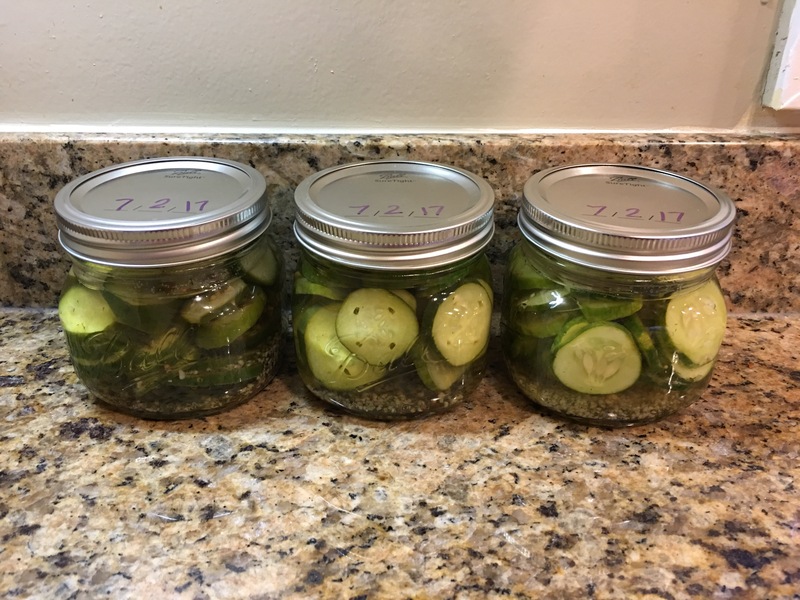 Since we only had about a pound of cucumbers, three small jars were filled. This morning, all three jars were looking good with a tight seal. Now, the waiting game starts until we get to taste our pickles made from our homegrown cucumbers, I can’t wait! My husband absolutely hates cucumbers but goes crazy over pickles… he is a strange man, sometimes. Since his H-A-T-E for cucumbers is so strong, if I put them in salads, he will not eat it so the easier way for ALL of us is to just make them into pickles. On a side note; our watermelon plant is now blooming and our Edamame plants are full of pods. So, stay-tuned to find out if they make it through our heat wave. 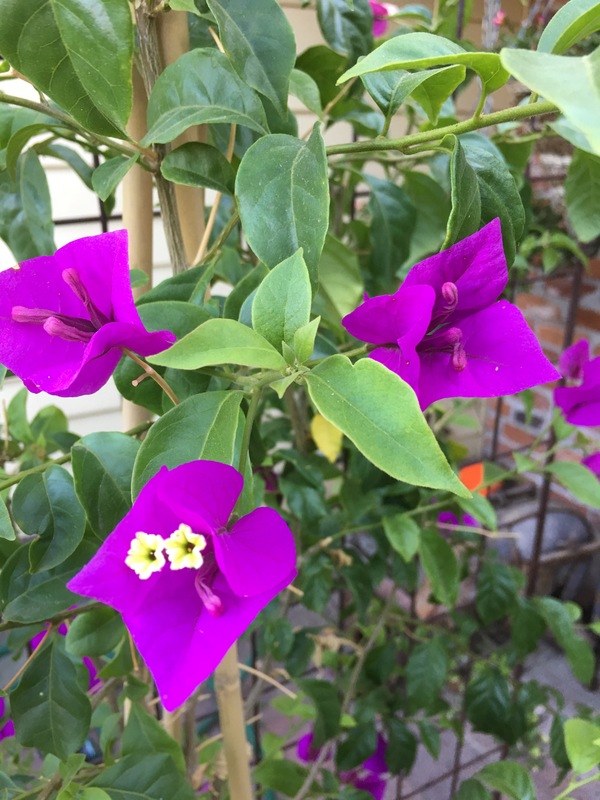 While contemplating on a beautiful blooming Bougainvillea, I can’t help but take a quick trip down memory lane. A time in my life when I was a child, around 8 years old, when I had no idea or did it even matter what time of day or night it was. I reverted back to my maternal great grandparent’s house; just a block away from our home. Their house sat on a corner lot, surrounded by a large backyard which housed cows, horses, chickens, plants along with other farm animals. Two wooden logs, at least 5 feet long each, were supported by rocks with extra wood for added stability since they were used for seating purposes. They had a square front door made out of metal with stained clear glass panels. The house was very spacious; a long hallway, a large dining area with a modest kitchen. To this day, I can close my eyes and vividly see the blue’s, green’s, turquoise colors in addition to the shiny, clean floor tile. Their home was always welcoming, just like every other home in town… the door was always open… it’s hard to recall if I ever saw it closed. Great grandma “Lupe” had beautiful flowers, bushes, herbs plus shrubs along her back side of the house. She had hundreds of potted plants; jasmine, sage, daisies, geraniums, cosmos, dahlias, ferns, mint, begonias, azaleas, etc. Some where hanging while others just lined the side of the house in rows of rows of rows. While visiting, we always headed for the backyard to play. My favorite part when stepping outside was: feeling I was walking in a magical enchanted garden. The color contrast was incredible; blues, whites, bright reds, hot pink, yellows in addition to green… everywhere. The smell was delightful, almost as perfume – at least I thought of it that way. Usually, it was cool on the back porch, since great grandma always watered her plants. It’s soft smell of wet soil was so invigorating, it relaxed you. At times, I would softly caress some plants to release their aroma then, I would pretend walking into a perfume shop, carefully selecting the most delicate fragrance of my favorite “eau de toilette”. 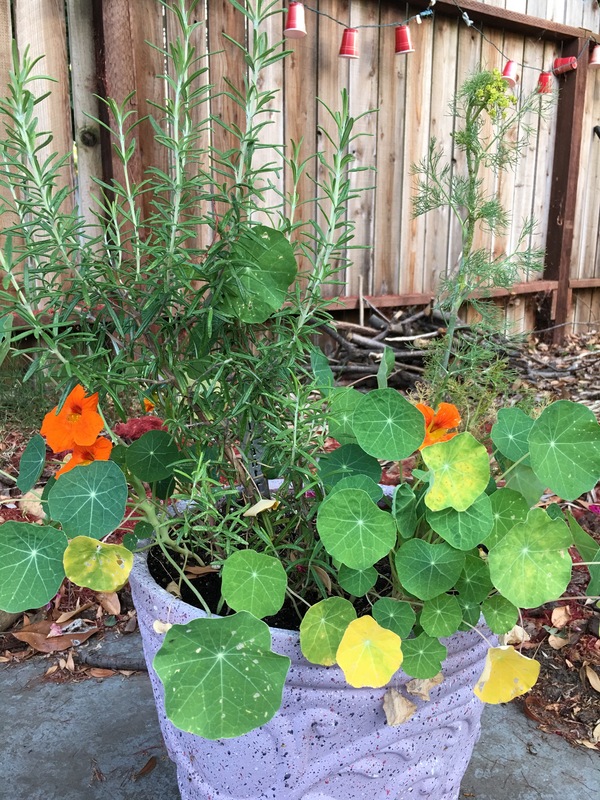 Most of the plants were potted… in cans. A tall spearmint grew out of a large metal can which original contained jalapeno peppers. Coffee cans were also a favorite; usually full of geraniums in numerous colors as well as sizes. Old metal pails exploded with long, dark green leafy ferns. Oregano, oozing out of a can originally containing powdered milk was seen flowing almost stream-like. There were no unattractive flowers, each and every single one of them was beautiful, patiently waiting to be admired. 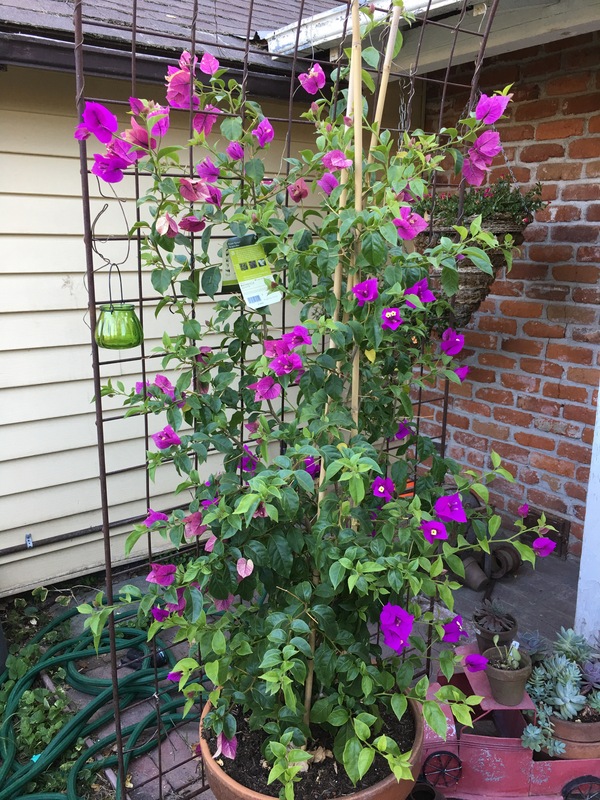 My favorites were the Bougainvillea vines that grew around the posts or poles; I envied how tall they got as well as how long they lasted in full bloom. I tried to be as cautious as possible around them since their spiky long thorns are thick yet extremely sharp – lot’s of blood was shed! The actual flowers are generally white, minuscule, as a consequence: very delicate. Each contains three flowers surrounded by three to six thin, almost paper like bracts. Interestingly weird enough, they are mostly odorless. Nonetheless, the purple and pink were my favorite – they looked amazing on my braided long hair. I felt the most beautiful with flowers in my head. Their beauty someway seeped through me: it made me smile until my heart was content. I would spend hours contemplating, smelling, picking and admiring the garden. Such simple action brought extreme pleasure and happiness to me that it would sadden me when it was time to go home. Luckily, I would be back soon enough to do it again, then again and again… for all I knew: life is so simple! Lately, reverting to “old memory lane”, has been very rewarding for me, as reflected on this piece. As I have grown older, the more nostalgic I become while yearning for maintain vivid pieces of my past. A while back, as stated on my Hibiscus Love rambling. I mentioned about a recipe to make your own Agua de Jamaica. Today, I give it to you. 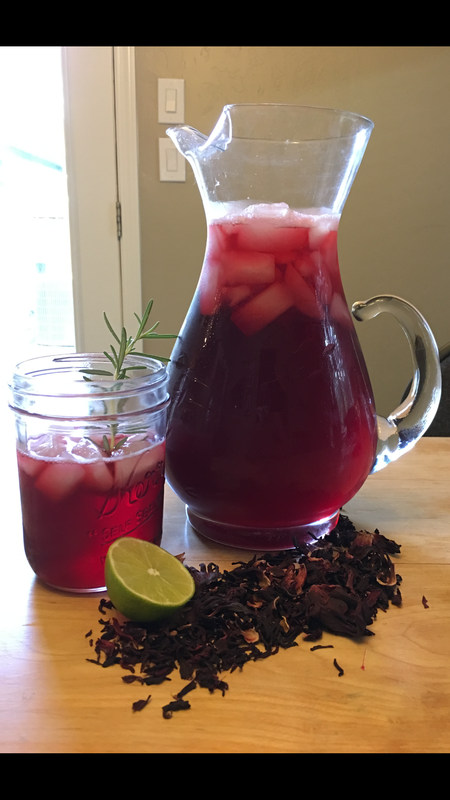 This traditional Mexican drink which is made from the sepals of the trumpet-shaped Hibiscus flower is very popular in the Mexican culture. It’s ruby-red color is beautiful and festive, therefore another common use is called “Ponche” during Christmas (similar to compote) and adults like it with a bit of spice; rum or tequila. Also mentioned on a prior post, I explained how this flower contains medicinal properties such as Vitamin C and aids with weight loss. This gorgeous flower is AMAZING! Here is the recipe for you to make this delicious “Agua Fresca de Jamaica”. Add the flowers and water into a pot. Heat on low for approximately 15 minutes – or until it boils. Turn off the heat. Cover pot with a lid and let it steep for twenty minutes (preferably a couple of hours). Drain the water into a pitcher, you will have a very strong fusion. Add the sugar while stirring until dissolved (add more depending on desired sweetness). Reduce this tea concentrate with the reserved cups of water for desired tartness. Dispose of flowers or add them to your green waste or mulch. Refrigerate or add ice when you serve it. Add a sprig of mint or a lemon wedge for garnish. This drink is perfect for any BBQ or summer gathering. One of the many reasons why this drink drives me crazy – is for anyone, including vegans! Just make sure you use organic sugar. I hope that you enjoy making this traditional tart Mexican drink and add it to your party’s or gatherings jut like we do! Other variations / tips: Drink cold or warm. Add sweeteners or none. Add chopped fruit like pineapple, melon, orange etc. Mix with lemonade or apple juice. Add ground spices: cinnamon, ginger or nutmeg (dissolve well). Spike with rum or tequila for adult drinks. Garnish with mint, basil, rosemary etc. ***Look for dried, edible hibiscus flowers (hibiscus sabdariffa) often called “flor de jamaica” in specialty shops or Mexican food markets. If you haven’t tried Checkout 51, give it a try. This is my second favorite rebate app! It’s also a great way to earn some extra money while shopping on your grocery items. Checkout 51 is a rebate app similar to ibotta but a bit different. New offers are released every Thursday but last until the following Wednesday with about 250 available rebates. Rebates range in categories such as; baby, drinks, medicine, health, personal care, home, pantry and snacks. Often, vegan or vegetarian items are available – this is awesome! The app is easy to use; no unlocking rebates before you shop (yay)! Perform your normal shopping at ANY store, then redeem! Yes, ANY store! Some rebates are to specific stores but most are redeemable everywhere and anywhere including dollar stores! I LOVE THIS APP! I am fascinated with this feature, they seriously outdid themselves with this simple unbiased app – feature. No unlocking of rebates. This is the most annoying task where you must first unlock a rebate to claim it later or you are not able to redeem for cash. This is an amazing perk! Redeem at ANY store without the need to shop a specific store – giving you the liberty to shop closer to home! I am amazed with their high rebates, seriously, $5.00 on Tiki fluid and $2.00 on Starbucks Coffee… Score! Some rebates allow you to redeem more than once, usually twice and some, up to 5 times! This is insanity! Submit a rebate even after you used a coupon (some have exceptions but are very minimal). The app states most payments are approved within 1-48 hours. (I usually get approved in less than 24 hours). The app is super easy to use; uncomplicated with minimal navigation. Are low and very few but are easily attainable. Cash out after reaching $20.00. Checkout 51 will mail you a check – this is one downfall for me. Checks are mailed within 5-15 days which may take up to 6 weeks for arrival. I would not refer this rebate app without using it myself and loving it. So…My two cents on Checkout 51: Why turn down extra cash? ***Notes: At times, I have redeemed the same rebate with Checkout 51 and ibotta – I call this Double Dipping! ***Redeem $2.00 in rebates to unlock a $0.25 fruit or veggie rebate the following week. ***Offers may vary by user with limited quantities. 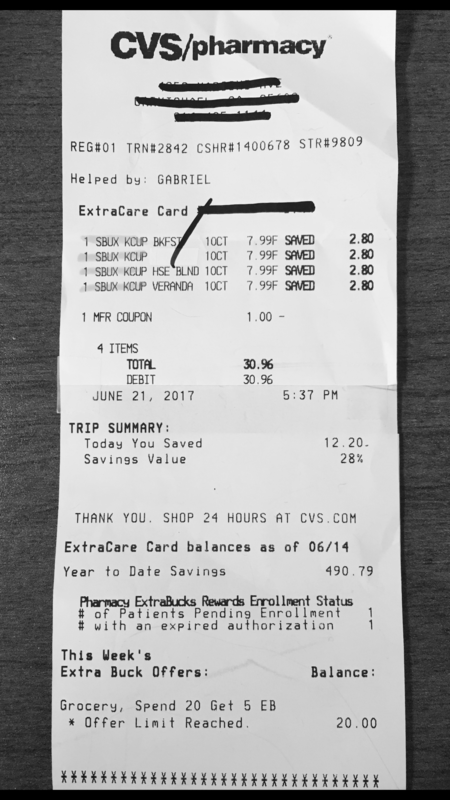 Well… I had to make a quick shopping trip to CVS last night… Currently, they are running a promotion on several grocery items: receive $5.00 ExtraBucks when you spend $20.00. 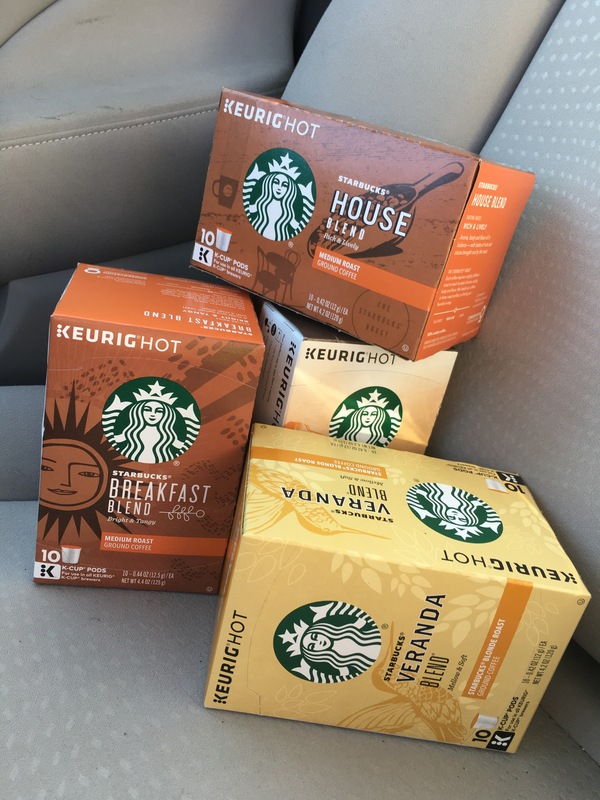 My husband and I are avid morning coffee drinkers, with that said… I will stock up when a good deal shows up – we were down to one box left! We usually purchase our coffee at Sam’s Club, unless I can find it cheaper than $0.58 cents per K-Cup ($41.98 for 72 k-cups of Starbucks at my local Sam’s). I knew the purchase at CVS along with some rebates would get to pay under $0.50 per cup, so I forced myself to make the trip (okay, not really). There is a CVS close to home, therefore it’s an easy stop to make on my way after work. Checkout 51 had rebates on Starbucks Coffee that were expiring yesterday, so I wanted to pair these rebates with the store promotion to get a better sale. I also had a $1.00 Starbucks coupon which was included with a sample I received earlier in the month. With coupon in hand, I walked into the store, grabbed my four boxes of Starbucks K-Cups and headed to the register. At checkout, since a $1.00 coupon was used, it brought my total to $30.96. As you think about the math, this transaction puts me at a much higher price per cup ($0.77 each) than at Sam’s. Realistically, I would not pay for this… unless… I can cash in on rebates: they better be good ones too. 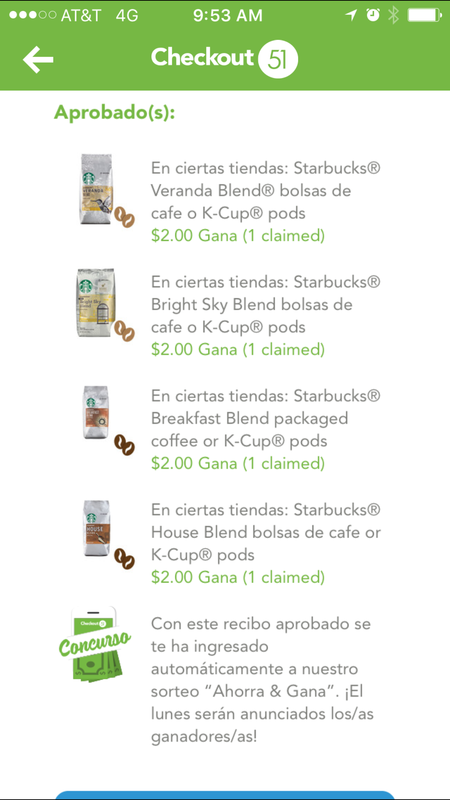 There were great cash back offers to claim on: $2.00 on Veranda Blend, $2.00 on Bright Sky Blend, $2.00 on Breakfast Blend and $2.00 on House Blend. Plus, a bonus of $1.00 was added to my account for purchasing two boxes of blonde roast and another $1.00 was added for purchasing two boxes of medium roast. Also, I received $5.00 in ExtraBucks for reaching my threshold of $20.00 on grocery items at CVS. ***These coffee rebates are back today on Checkout 51 and CVS will exhaust their promotion Saturday, so there is still time if you are running low on coffee. This deal works on both the K-Cups or bagged Starbucks coffee.